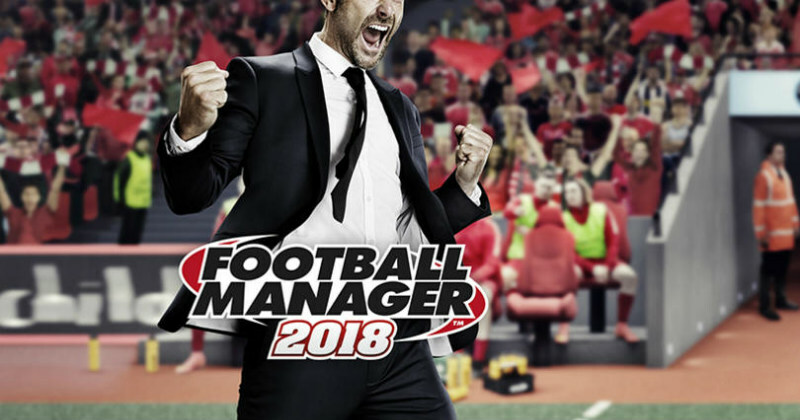 That’s right, lads- it’s time to break out the laptop, enter the dugout and kiss goodbye to your social lives, because the latest edition of Sports Interactive’s highly addictive Football Manager is finally here. Fortunately, Sports Interactive’s ridiculously addictive Football Manager series gives you the chance to put your money where your mouth is, allowing you to take control of pretty much any football club in the world and begin your march toward glory. With unbelievably realistic transfer and tactical systems, along with the ability to control almost every aspect of the football club, it’s safe to say the majority of us won’t get much closer to actually being a football manager- hell, even the player stats are used by scouts in real life! We simply can’t wait to get stuck into another monstrous game save and get our names placed firmly in the Hall of Fame. It’s safe to say that we’ll be spending an obscene amount of time trying to become the next Pep Guardiola, and come up with our own unstoppable football philosophy. Or, you know… become masters of parking the bus and pumping it long. The only question is: who should you start as on FM18? One of the best things about Football Manager is the prospect of reviving a fallen giant- and you’d be hard-pressed to find a giant that has fallen quite so far as Blackburn Rovers. The former Premier League winners dropped into the third tier of English football last season, and so the challenge of returning them to the top flight may be too good for some FM players to turn down. With a decent transfer budget and a few players that are certainly good enough for the Championship, this could a fun little save that lets you restore the mighty Rovers to their former glory. Speaking of fallen giants, AC Milan have fallen a little by the wayside in recent years. Following the glory days of Shevchenko, Inzaghi and Pirlo, Milan have struggled to rediscover their recipe for European dominance, and we haven’t even seen them in the Champions League for the past few seasons. The French Champions have had a slightly challenging (although profitable) transfer market this summer, and it could be an incredibly fun challenge to come in and pick up the pieces. With players like Kylian Mbappe and Tiemoue Bakayoko sealing big-money moves elsewhere, it’s fair to say that the Monaco squad is in need of a bit of a rebuild. The only question is: are you the man for the job? Monaco have always had a knack for bringing through excellent youth players, so taking over the French side could be a great chance for you to coach some of the best youngsters around. Starting out this way can lead to a lot of frustration and you’ll undoubtedly be sacked yourself somewhere along the way, but it also leads to a lot of fun managing in the lower divisions as you try to make your way to the top. Whether you want to reach the top divisions with your original club, or want to climb the ladder by taking job offers from bigger clubs, is completely up to you- either way, you’re guaranteed to lose 100’s of hours to such an epic Football Manager save. Looking to pick up the latest edition of FM? FOOTY.COM compare prices to bring you the best Football Manager deals around, alongside the lowest prices on all kinds of football boots and kits on the internet! As the FM addiction continues to take hold, which club have you chosen to save?